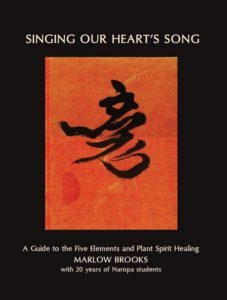 This book is a beautiful synthesis of Marlow’s decades of internal cultivation and study of the Five Element system of medicine. This is most poignantly illustrated by her inclusion of the works from her students. Chinese medicine has always been a collective endeavor. For thousands of years, human beings have drawn upon a deep desire to know themselves and how to apply those discoveries to the process of healing. This is how Chinese medicine evolves and grows to continuously meet the needs of the current era. The sign of a wise and cultivated teacher, in my opinion, is one who creates spaces for his or her students to discover their own wisdom in ways that vitalize and perpetually transform the field of medicine. In this endeavor, Chinese medicine continues to evolve through the eager hearts of empowered leaders. The multiplicity of voices forms a larger melody that contains a kind of beauty, elegance, and potency only available through collective expression. This book is an exquisite example of a collective offering that will add to the development of Chinese medicine as a healing art. Marlow Brooks has taught Five Element Plant Spirit Healing to students at Naropa University in Boulder, CO for twenty years. Singing Our Heart’s Song includes the fresh and lively voices of students from as far back as 1998, woven together by a thread of Marlow’s voice and her artwork. May it open doors to a new way of knowing and being human, and provide a path for greater transformation within ourselves and our community.